Partner, Hunter Biederman is often referred to by collegues as the “Go to Guy for DWIs.” He is well know in the local and national media in the area of DWI laws. Mr. Biederman’s cases have appeared on CNN Justice, WFAA and CBS to name a few. In addition, Mr. Biederman is often quoted by print media such as the Dallas Morning news concerning DWI laws and news. Mr. Biederman began his legal career as a prosecutor for the Collin County District Attorney’ office. Although starting as a misdemeanor prosecutor, he quickly rose through the ranks becoming a chief misdemeanor prosecutor in only 6 months. After earning a reputation as a stellar trial attorney, he was promoted to become a felony prosecutor in only 9 months, one of the youngest prosecutors ever to hold that position. Throughout his career at the District Attorney’s Office, he handled cases such as DWI, DWI 2nd, DWI 3rd +, Assault, Theft, Intoxication Assault, Intoxication Manslaughter, and even Murder trials. After a successful career at the District Attorney’s Office, Mr. Biederman set his sights on a career as a DWI and criminal defense attorney achieving amazing success for his clients. Mr. Biederman is a frequent lecturer on DWI topics to groups such as the Collin County Bar Association, Frisco Bar Association, Plano Bar Association, The Center for American and International Law, University of Texas at Dallas, and the Texas Bar Association’s Advanced Criminal Law – the State’s most prestigious Criminal Law course. 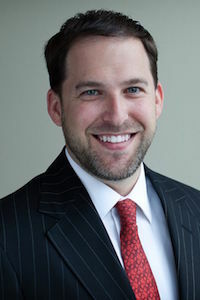 Hunter Biederman’s high profile and stellar reputation as a DWI trial lawyer has earned him the following recognition from State and National organizations. A national best selling author for his book: “A Cup of Coffee with the Top 10 DWI/DUI Attorneys in America”.